The start of the junior football season may still be a couple of weeks away, but Kilsyth Rangers already have a trophy in the cabinet. Under their new management team of Jimmy Thomson and Kevin McGoldrick, Kilsyth lifted the Raydale Cup at Gretna last weekend. Kilsyth defeated Cleator Moor Celtic 2-1 in the semi-finals of the four-team tournament on Friday night with goals from Phil Dolan and Corr. Salim Kouider-Aissa, who hit a hat-trick in the previous week’s 3-0 win over Sauchie, was on target again in the final with Shields and Corey Pearson also on the scoresheet in a 3-0 win over Threave Rovers. With a huge overhaul of players over the summer, boss Thomson was delighted with both the gelling of his new-look side and the financial commitment of the club in helping to fund the trip. He said: “There’s change in personnel in these tournaments because we’ve got to look at a lot of boys on trial as well. “Fair play to the boys as you’re disrupting the flow a wee bit when you’re chopping and changing and maybe bringing in six or seven players on at half-time, or during the second half. “It was a very worthwhile weekend going down there. The club made the commitment to stay on the Friday night and the Saturday night and it was a good bonding session for the boys. New faces at the club include former Glenafton winger Dan Orsi, ex-Dalbeattie Star striker Steven Degnan, former Cumbernauld Colts midfielder Jordan Pirrie and ex-Colville Park keeper David Tait. And Pearson is also back at the club on a permanent basis after returning to Duncansfield on loan from BSC Glasgow last season. 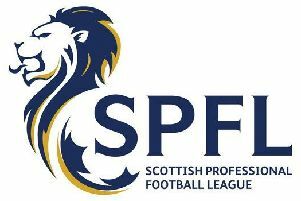 Two further friendlies have been arranged, both at Duncansfield, against amateur side Harestanes on Saturday, July 21, and Linlithgow Rose next Tuesday, July 25, ahead of their opening - away to Glasgow Perthshire - in the new-look Sectional League Cup on July 28.